Echo of Soul, the upcoming free-to-play fantasy MMORPG, has revealed a treasure trove of information about the game’s backstory, characters, and deeply immersive environment. Publisher Aeria Games has just launched the game’s dynamic new site, EchoOfSoul.us, featuring background on the lore, the innovative Soul System, and dozens of stunning in-game assets. Players can sign up for the Echo of Soul beta now, which kicks off this spring. Following the site launch, Aeria Games will be releasing new site content on a regular basis, including in-depth looks at the game’s characters and classes, and details on in-game features. 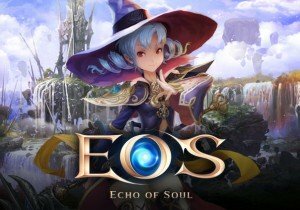 A new Echo of Soul Community Hub is from now on available, allowing fans and players to interact and discuss the upcoming game. The site also displays artwork, videos, and beautiful wallpapers for fans of the genre to appreciate. As the Gods’ Soulkeepers, players will be able to pick between five different classes: Warrior, Guardian, Rogue, Sorceress, and Archer. No matter which class, gamers who step into this world will be faced with the promise of an exciting endeavor with thousands of hours’ worth of PvP and PvE action, including quests, raids, and challenges. Providing an incredible sense of freedom and adventure, Echo of Soul is also available on-the-go with a dedicated mobile app that includes chat and item-trading features. Developed by key members of theteam behind the award-winning MMO Lineage II, Echo of Soul immerses players with rich visuals, an epic soundtrack, and a vast and detailed landscape. Set to launch on PC this spring, Echo of Soul will be free-to-play and free-to-download. MMO enthusiasts can register for the closed beta, participate in forums, and stay up-to-date on news surrounding the game via the new official site.